Review Back in December 2013, I hailed the first generation Motorola Moto G as the best affordable smartphone on the market. If you want a reasonably compact 4.5-inch device, then, arguably, it still is the best, thanks to a midlife facelift that added a microSD slot and 4G reception. 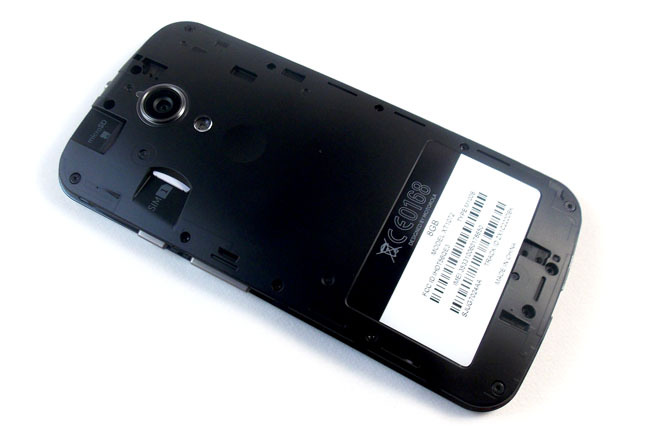 A larger, Mk.II 3G-only version was released late last year and now a 4G incarnation of the same has rocked up. Time, then, to see then if the newcomer has tipped the old boy off his throne. There is a strong sense of deja vu about the new 4G Moto G. The excellent build quality, water resistant coating, simple but elegant design and straightforward arrangement of the controls and ports are all still in evidence. Yet there are some significant differences between both the first and second generation models and the 3G and 4G versions of the latter. The most obvious distinction between the original and new model is that the display is bigger, up from 4.5 inches to 5 inches. Even so, the resolution remains the same at 720 x 1280 and, consequently, the pixel density has dropped from 326ppi to 294ppi. Don’t let that put you off. It is still more than sharp enough to my eyes. Side by side with a 4.5-inch Moto G there’s little, if any, discernible difference. The panel itself is an IPS LCD affair and – like that fitted to the original Moto G – it delivers vibrant colours and supports very broad viewing angles. Strangely the maximum brightness is noticeably less than on the Mk.I Moto G, so it’s less easy to see what's afoot out of doors. To avoid shattering experiences, a sheet of good old Gorilla Glass 3 covers the display. 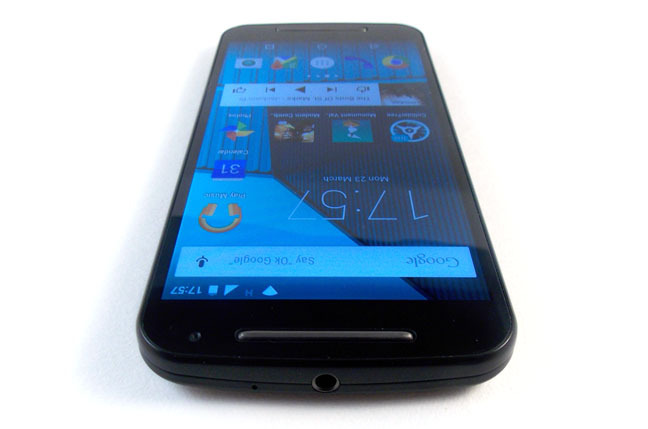 Should the Mk.II Moto G have been given a higher resolution screen? I imagine the engineers at Motorola thought that sacrificing a pretty marginal amount of sharpness was a price worth paying for a display that goes easier on the battery. That being so, I agree. Talking of batteries. 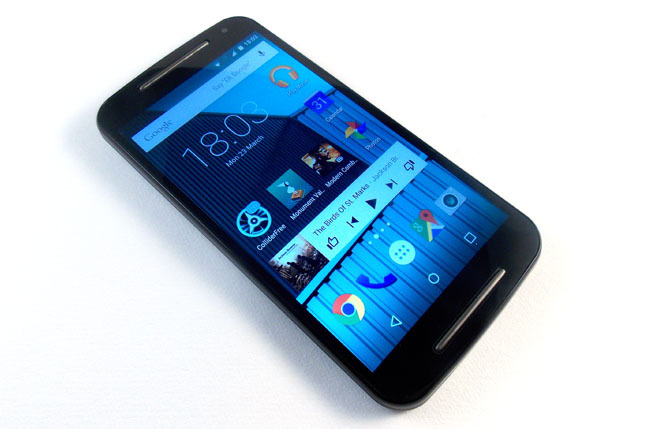 The new 4G Moto G boasts a fixed 2,390mAh battery, up from 2,070mAh in the 3G version and the 4G 4.5-inch model. Granted, 4G communication is more power hungry but the extra capacity still gives the latest G longer endurance in everyday use. Looping a 720p video with Wi-Fi on and the volume at maximum drained the battery in nine hours. That’s and hour more than the KitKat-equipped Mk.I 3G Moto G managed. Getting a full day of heavy use from the new Moto G really wasn’t much of a challenge.